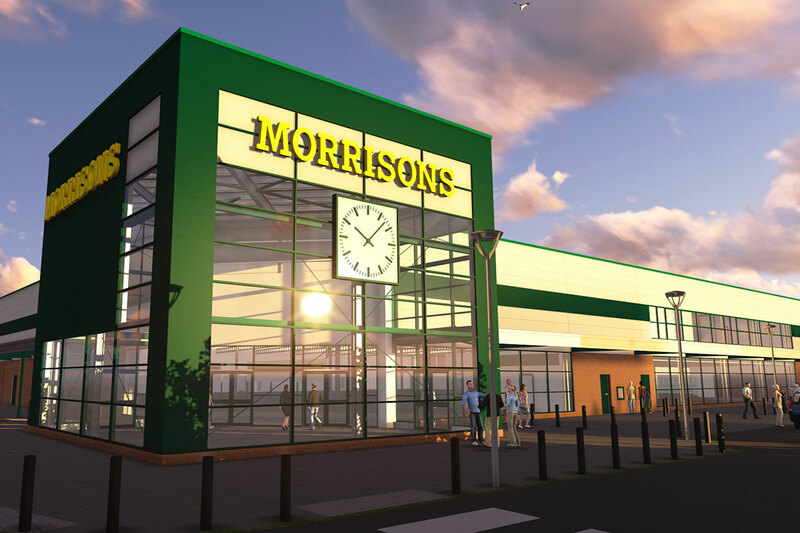 DarntonB3 are appointed to the framework of Architects to support Morrison’s store development programme. 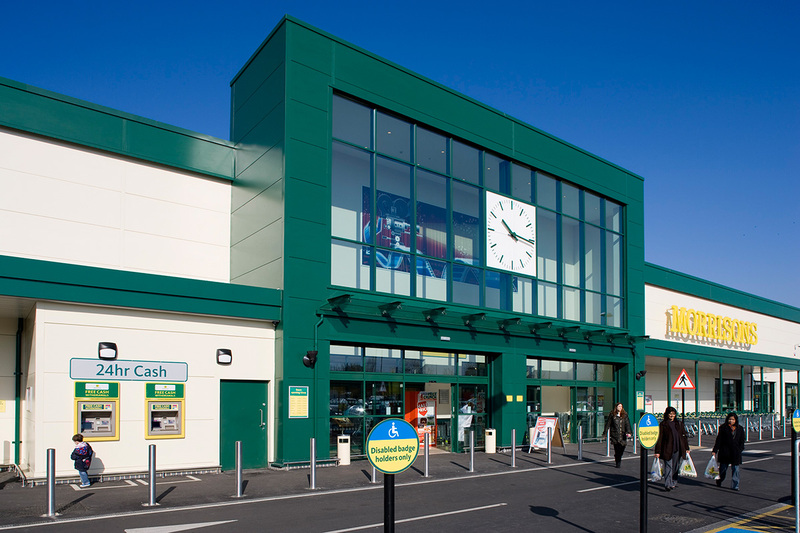 We have been responsible as Architect for a variety of store projects including new build, conversion, extension and remodel schemes. We also as Architect for high volume store change and update programmes, providing additional services as Project Manager. Building Information Modelling is widely implemented, with all new stores designed and delivered in Revit. We acted as Architect for this scheme to develop a new retail superstore and Petrol Filling Station with associated car parking. The project provides 6500m2 gross with 3300m2 retail sales area. 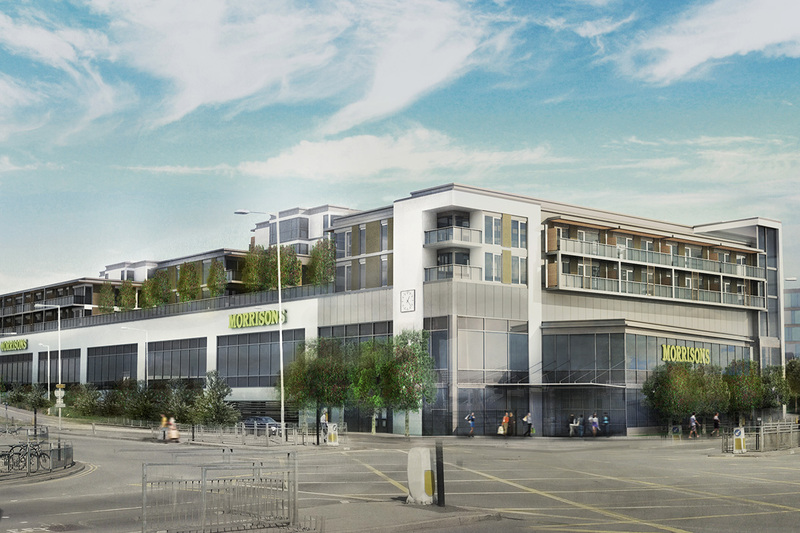 The scheme design developed to incorporate a major new ‘Food Retail Warehouse’ concept. We worked with retail international consultants to incorporate innovative ideas and new technology. Design was aided in part by DarntonB3 use of Revit as a design tool. When considering areas of the store it was invaluable to be able to show any part in three dimensions to the client, consultants and lighting design team. 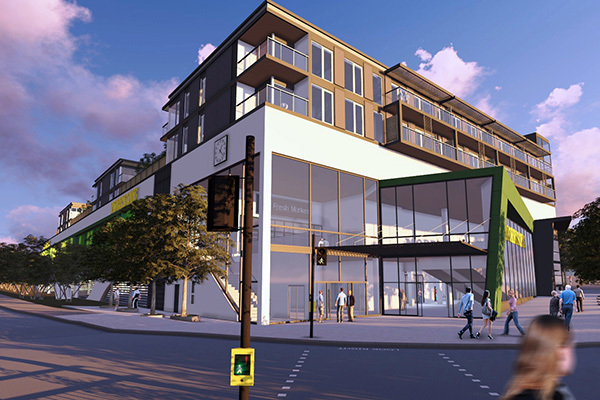 The resulting finish and coordinated design was also assisted by the use of Building Information Modelling to enable all areas of the design to be considered from an early stage. Throughout the store there are traditional Morrison’s ‘Market Street’ elements including The Oven, Meat Shop and Fish Shop, Bake Shop and Deli & Cheese. In the produce aisle bespoke signage and lighting lends the area an American Farmer’s market funkiness. This slant extends throughout the store, including to The Eatery, offering pizzas baked in a wood-fired oven, fish and chips and ‘home made’ ice cream. There is also a ‘Grab and Go’ area where customers can buy items – lunch or fresh flowers, self-scan and go. We have successfully delivered the rollout of ‘Format Refit’ store refurbishment and remodel projects, acting as Architect and Project Manager. Existing stores have been transformed into contemporary shopping spaces, providing an innovative and wide-ranging, premium fresh food offer. • New produce prep area and associated service areas/cold rooms. • New bulkheads and marketing throughout. • Refurbishment/amendments to layouts of all the prep areas. • Planning approval for new plant. • Sales floor amendments to revised layout. • Entire refrigeration plant replacement and conversion from HCFC to CO2. • Redecorations and remedial works inside and out. • Rebalance of checkouts and addition of self-serve checkouts.